We Mahavir Trading Company established in the year 1985, are based at Mumbai and began our operations here itself. 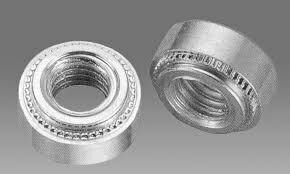 We are involved in the Manufacturing, Exporting, Wholesaling, Importing, Distributing and Trading of Clinching Nuts, Clinch Studs, Blind Rivets, Welding Studs and many more. The stainless steel products offered by us are extensively brought into use in sectors like engineering, construction etc. for a wide variety of purposes. Some of their features that make them stand out are their resistance to corrosion, durability and sturdy designs. Our products can be used for rugged purposes since they have damage-resistant designs. Customized specifications of stainless steel products are available upon request. Being affordable is one among the many advantages offered by the products.